A surprising statistic about people when they expect to retire suggests that only 23% of people expect to retire before they turn 65, While fully 69% actually retired before they turned 65. This is a really huge change in plans for many people. We wonder if they were ready emotionally and financially to retire and really not take another job. For many people it comes as a big surprise. For many people they end up retiring early due to health reasons. As long as you have your health there is a really good chance that you will continue working.But many are finding that their health gets in the way of working. They have the decision made for them. In addition, many companies regularly go through downsizing of some kind. The package offered to older workers is just to good not to take advantage of. For whatever reason, many of us end up retiring much earlier than planned. For those of you reading this post, the message is get your retirement savings in order. Make sure you have the flexibility at least from a financial perspective to retire whenever it is right for you. Emotionally you may not be ready for retirement. You feel too young and you feel that you have a lot to contribute to the company and to society. You may miss the social life at work. Many have not developed the hobbies and the interests that will sustain them in retirement. Developing the emotional and social plans to be ready for retirement before you retire is something that many people may want to consider. Going cold turkey i.e. quitting work without a plan can be very difficult. If you suddenly find yourself in retirement due to health issues or your company has downsized, it is time to take stock of your situation. Assess your financial readiness for retirement. Do you have enough money saved which combined with your pension will allow you to live in the manner you envisaged during retirement. If not you may have to take some steps towards either finding another job or downsizing your expenses. Downsizing your expenses is best accomplished by first developing a budget. Figure out how much money you have in terms of income each month and then assess all of your expenses. If income minus expenses is a negative number, it may be time to cut back in some areas and reduce your expenses until the income – expense equation becomes positive. Take the time to be realistic about your retirement. Investigate self help information available on this website and others. Figure out emotionally how you want to deal with retirement and decide if you need to downsize your home, your cars, your travel plans in order to fit your expense budget with your income budget. The transition for some people will only take a few months, while for others it may take a year or more. Give it time and rely on others in similar situations for help and guidance. They may not be experiencing the same things as you are but they may have great ideas about retiring gracefully. This entry was posted in Retirement Planning and tagged Early Retirement on 2013/09/21 by ernie. Do you know when you will retire? Will you have a choice regarding when to retire? Most people think that they have the freedom to choose when to retire and that they will retire when their finances are in shape to provide them with the level of income to give them the quality of life they would like to enjoy. 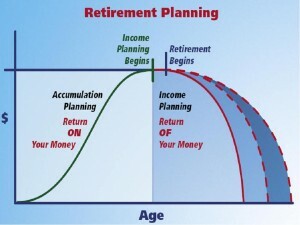 For many people this is true, however for many others retirement is quite different from what they planned or expected. The reasons for this change can be many, however it is usually things that occur in a person’s life that are outside their control. For some people they are let go earlier than they thought they would be from a company and must find other work. Sometimes it is at less money and this means they have to work longer than expected, past the retirement age they anticipated. For others, health gets in the way, either for themselves or for someone who is close to them that they need to look after. We never know what curve balls life will throw at us and that is just one of the reasons why early sound financial planning is important and can make a huge difference in their quality of life. We all know people who have said they will work until they are 65 and then retire. Suddenly life throws a curve ball at them in their early 50’s and they are no longer working for any of the reasons above. Their plans are in disarray and if they did not have a plan in place for the finances, they could be in significant financial difficulty. Surveys have shown that the majority feel they are in control of when they will retire, when in actual fact only a small percentage actually make their own decision about retirement. Another interesting fact of this survey is that they only have less than a month’s time in terms of warning that they are going to retire. This is usually a downsizing situation or an incentive plan that is offered. In many cases as well companies simply decide they are going bankrupt and / or closing plants. One month’s time is not a lot of time to adjust to the fact that you are no longer going into work and earning a paycheck. With strong financial plan that has been growing for some time, will ease the transition to retirement life. Your life can be much easier from a financial perspective. Wondering where your money is coming from in retirement worries many people. Whether you have enough income to live the quality of life you are looking is another concern. Many people retiring today are going to live 20 or 30 years in retirement and it takes a large sum of money to generate the level of income that is needed to support the life style you need. If you have sufficient funds, you can focus on the other aspects of retirement, which can be equally important. Retiring healthy and having the money needed to enjoy your retirement are among the top priorities for most people. Without your health, retirement can be difficult and money really becomes a secondary issue. Good health and maintaining your health is the top priority for most people. These are just a few broad steps that consumers can consider. It will help them to prepare for retirement that comes earlier than expected. A financial plan will help you deal with any issue that comes your way in early retirement. Plan now and have peace of mind. 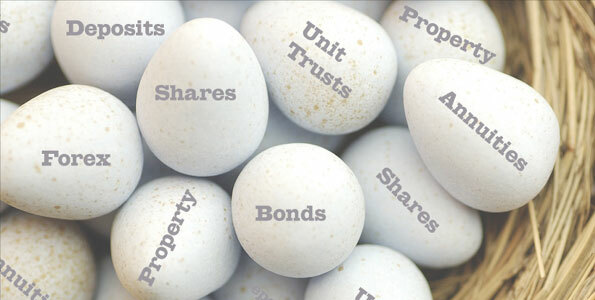 We have many other posts on this site dealing with financial planning and retirement. Take the time to review Will You Have a Choice Regarding When to Retire. This entry was posted in Retirement Planning and tagged Early Retirement on 2012/12/21 by ernie. Remember the slogan ” Freedom 55″, you do not see that being advertised very much these days. Many people suffered greatly during the period through 2008 and 2009. If you did not lose your job, you lost a lot in the stock market and that usually means that Freedom 55 went out the window. The value of your home declined a great deal as well so now you are probably underwater as well in terms of your the value of your home vs. your mortgage. So now you cannot retire when you planned, but maybe it is not that bad. It turns out that there are many older workers that are not planning to stop working even if they have the money. Many people enjoy the challenge, they enjoy the camaraderie of working with people and they enjoy some of the fringe benefits that working offers. They have some where to go every day and something to look forward too. It turns out that before the recession really kicked in, many people were already planning to work beyond their normal retirement and it was not for the money. True many have to work now whether they want to or not, but with the benefits that come with the job, it may not be so bad. Consider getting up in the morning and not knowing what you are going to do the rest of the day vs. going into work and meeting the challenges of your job. Some people would say you are nuts, you need to get a life and set your priorities. Believe it or not many people enjoy going to work, they enjoy the challenge of solving problems and dealing with issues that they can resolve. If your job involves a lot of stress, you may want to deal with this particular challenge and manage it so that the stress becomes manageable and enjoyable. We all need some stress in our lives. Lots of people want to retire from their current job and move to something else. The changed environment is often a challenge, an enjoyable one and many people rekindle the spark that they might have lost in their current job. If you enjoy people and being around people, then you will miss your job unless you replace it with something else. Many people view their jobs as part of their social life ( they actually do work as well) because they have fun at their job and with the people they work with. Some will retire and then go back on contract to the same job and the same company. A lot of government workers seem to be able to do this quite easily at high rates of pay. While some do this simply for the money, others do this because they love to work and they just do not see themselves spending time at home, golfing or traveling all of the time. There are also fringe benefits that go with work. Many people just go to work and do not have any real fringe benefits. However if you are a middle manager or senior executive your going to miss the power, the support you get from staff and the travel benefits. Quitting or retiring is tough for some who miss these fringe benefits. Even having somebody arrange your travel schedule for you can be a big issue for many executives. If you are used to having somebody do all of this for you, then it can be time consuming and confusing as well. Computer support is a big issue. Now you have to do your own, there is no one to set up and configure your computer or support you when you have a problem with your computer. The best advise is to learn how to do all of this stuff before you retire and be able to do most if it yourself! If you look forward to going to work, then you are enjoying work and all that it offers. Everyone is different. For some, work may offer the challenge they are looking for, for others it is just plain interesting. For many people they really like the social time at work were they interact with other people. This can be really important for many people if they do not have a lot of outside activities they participate in. We know some people who have no hobbies and do not belong to any clubs. They do not go out much and as a result, work is the social outlet for them and the opportunity to interact with people. So if you really like going to work, then consider carefully what you will do after you retire and if you really need the outlet that work offers. Self worth is also very important. Many people identify with their jobs. They measure themselves and others by the type of job they do and the amount of money they earn. Once you retire this all goes away. You can only identify with your past achievements. Unless you get involved in other activities such as volunteering and supporting organizations that help people. Unfortunately not every one can or wants to volunteer. If you are the type of person who really identifies with work and measures your self worth against the job, they you may not want to retire just yet. Retirement is a very personal decision. Make your decision carefully. Work is good for all of us under the right conditions. If it is not fun it is time to change. Feel free to leave your comments and suggestions that will help those who are getting ready for retirement. Spam comments will be deleted! This entry was posted in Changing Jobs and tagged Early Retirement, Freedom 55 on 2010/10/07 by ernie.